Whether it’d be the end of the semester or the beginning, a student’s productivity can always be enhanced. I know I have had my fair share of times where I cannot do anything but merely scroll through Twitter on my phone and consistently take pictures on Snapchat all while avoiding homework like the plague. I have always looked for productivity apps and extensions in order to help me and I believe the ones below will help you as well. 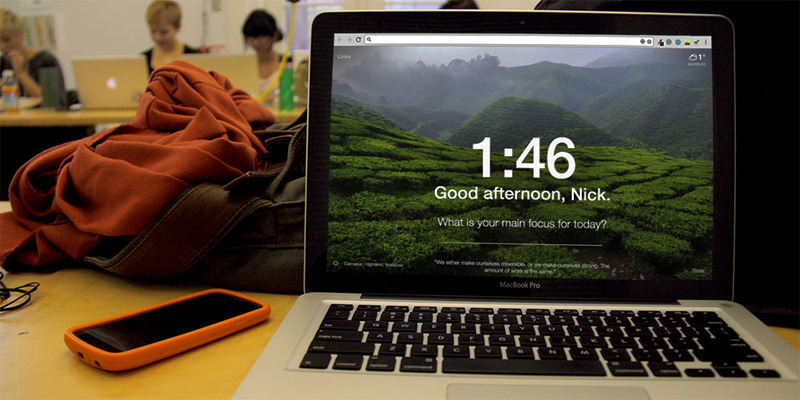 Momentum is an extension for your browser that will offer you a new tab that will help bring your motivation up. 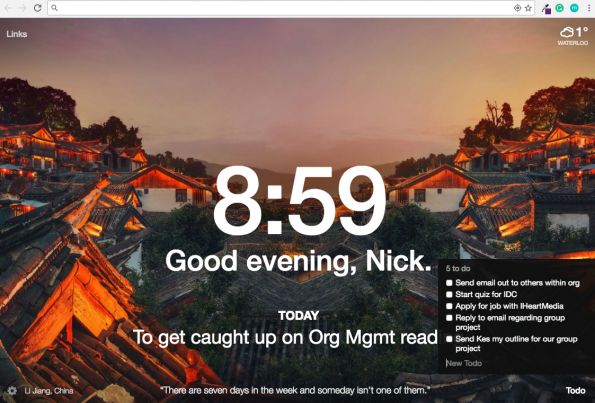 Momentum opens a new tab in your browser that doesn’t overwhelm you like that planner of yours might, but it rather simplifies your day. It offers a calming picture, a welcome, and a simple reminder what your main objective of the day is. We all, of course, have more than one thing on our to-do list for the day, so that is why in the corner of the page, it has a way for you to make a longer to-do list. The encouraging list allows you to check them off and keep track of them, but not allowing you to get overwhelmed like you might with your physical planner. I like this extension because it helps you keep track of what you are supposed to be doing while on your computer. There are many times where I instinctively get on Facebook without knowing and then wonder why I even got on my computer and this app helps heal that. Forest is an extension for your browser and even an app for your phone which allows you to plant a tree. I know it doesn’t sound like the most exciting thing you’ve done all day, but this is one of those productivity apps that will help you stay focused. The app allows you to blacklist certain productivity-killing websites like Facebook or YouTube. 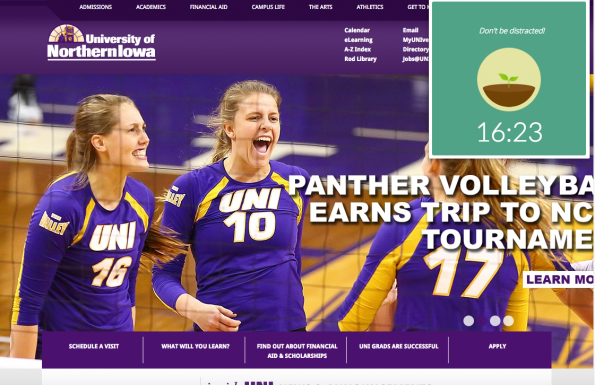 When you try and visit these sites, you will be greeted with a screen asking if you want to give up on your tree. 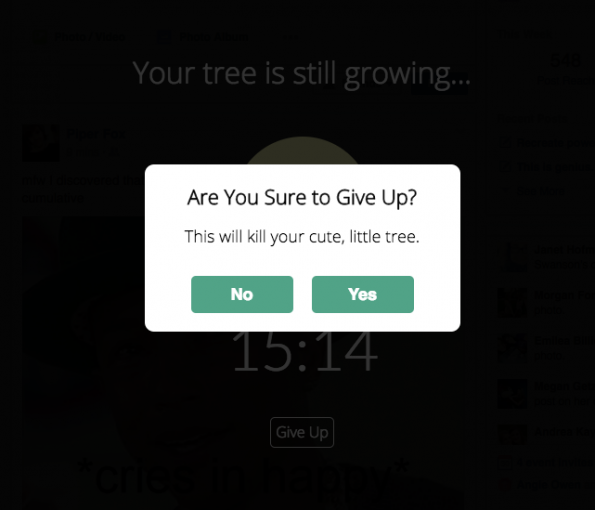 If you dare to “give up” on your tree, you will be given another message asking if you truly want to kill your cute tree. 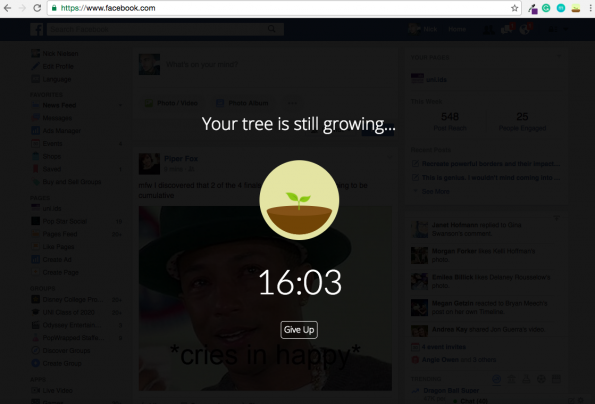 The app allows you to grow a forest and you can’t grow a forest if you give up on your tree. The extension for your browser is free, but the app does cost $1.99. The app for your phone is well worth it because it helps you stay off distracting apps while trying to be productive. I would highly recommend this app! Google Calendar is one of those productivity apps that everyone should be using because it honestly is a lifesaver. I have only been using it recently because I’m more of a physical planner kind of person, but I wish I would’ve incorporated it in my college career sooner. The various things you can do within Google Calendar is remarkable and makes it highly effective with being organized and productive. You are able to set reminders that can arrive to you various times before the actual test, meeting, or event you are being reminded for. You can color coordinate things and lay it all out to help see your week in full. Google tasks can help take your full schedule and break it down into a simple list. The list is right within your browser and gives you the flexibility to add notes with those tasks. Google Tasks isn’t anything flashy, but sometimes less is more, and it works well in this case. 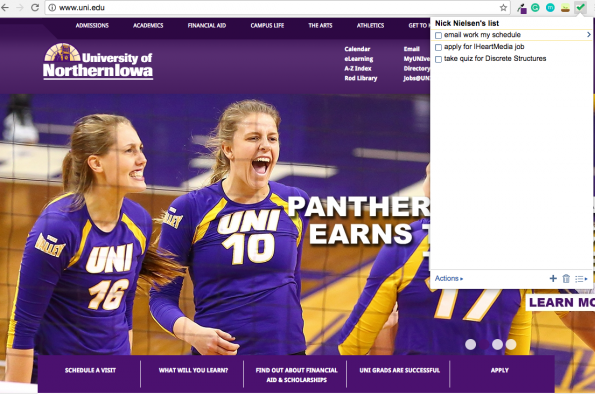 Nick is the Senior Editor of blog.ids, the official blog of the Interactive Digital Studies program at the University of Northern Iowa. If you can't find Nick blogging or posting, he is most likely at a concert somewhere. Nick also has a love for social media and the pop culture realm.